How Real Madrid are going to shape under Zidane? Is the condition going to improve now? Only time will tell! Zinedine Zidane made a surprising return to the Bernabeu last week, just 9 months after stepping down as the Real Madrid manager. The club had a very good time during his previous two-and-a-half-year reign as he guided Los Blancos to 3 Champions League trophies and a La Liga title amongst other honours. But after his departure from the club at the beginning of the season, Real Madrid has the worst start in decades. Club president F. Perez changed two managers and bought several new players to improve the situation, but the gap made by the departure of Zidane and Ronaldo was not getting filled anyway. Now Real Madrid is out of the UCL and Copa del Rey trophy as well as standing at 3rd position on the league table. The club management, players and fans are very happy as Zidane took the charge again. The club will give him a good budget to bring some in galacticos. The club is hoping to get back their X-factor as soon as possible. Between the sticks: K. Navas will be back at goal post as Zidane's 1st choice GK. Defense: After taking charge, Zidane has already made his 1st signing from FC Porto. 21 years old center back, E. Militao, is doing good at Porto (Porto is at UCL quarterfinal) and will also be a very good addition in Madrid defense. Another promising player, M. De Ligt, from Ajax has also been linked lately. The Dutchman has proven his presence even at Bernabeu for the Dutch side and led his team to the UCL round of 8 by beating Real Madrid. Midfield: Chelsea’s main man Eden Hazard has expressed his interest in Real Madrid quite a few times and mentioned Zidane as his idol. He is a playmaker and scorer, so Zidane will love to add him in his side. Two more French men Paul Pogba and Kante are strongly linked with Real Madrid. If Modric left for Inter Milan to join his national teammate then there is a big chance any of the Frenchmen will join Los Blancos in next transfer window. Forward: After Ronaldo left Real Madrid, the club is suffering from the low scoring rate. Mariano, Benzema & Bale were not able to deliver the club’s requirement. Vinicius Jr. is there but he needs time to become mature. So Real Madrid management believes Zidane will be able to lure any of Neymar or Mbappe from Paris. And G. Bale might be sacrificed to balance the FFP rule of FIFA. 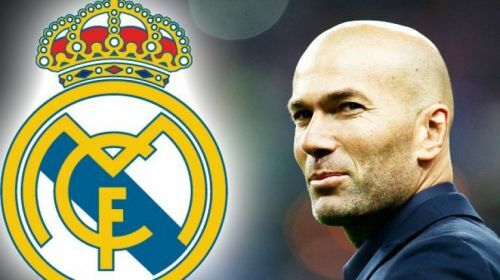 As Zidane is back at Madrid, do you think the condition of Real Madrid will improve now? Let us know your thoughts in the comments below! How would Barcelona play under Zinedine Zidane?